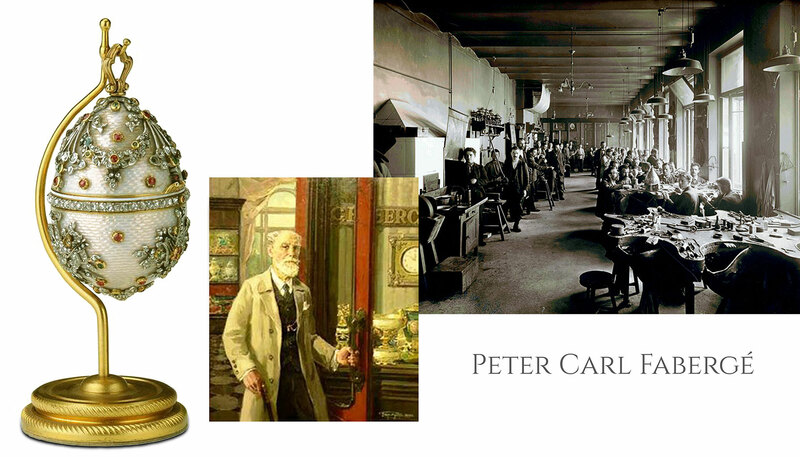 The artist Peter Carl Fabergé was born in France in May 1846 and lived in Russia until his death in September 1920. 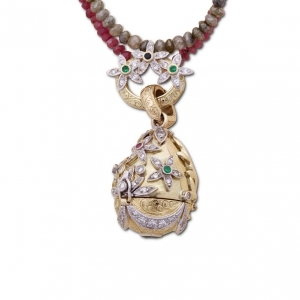 The House of Fabergé is a jewellery firm founded in 1842 in St Petersburg, Imperial Russia, by Carl Gustav Faberge. Using the accented name “Fabergé”, Gustav was followed by his son Peter Carl Fabergé in the family-run business. Ever since the firm has been famous for designing elaborate jewel-encrusted Fabergé eggs for the Russian Tsars along with a range of other work of high quality and intricate detail. Most famous are the Imperial Fabergé Eggs: commissioned by Tsars Alexander III and Nicholas II as Russian Orthodox Easter gifts for their wives and mothers. Fabergé’s description of himself as an “artist-jeweller” is indicative of his approach to his creations. His best pieces show an unique alliance between the skills of the craftsman and the imagination of the artist. There can be no doubt that his decisions in matters of design were based on artistic impulse rather than on commercial considerations. Galacia has created a fine jewellery collection that pays homage to the colour, craftsmanship and intrigue of Fabergé while retaining the brand’s signature aesthetic.